Remember back in May when we planted flowers in baskets from the thrift store ? 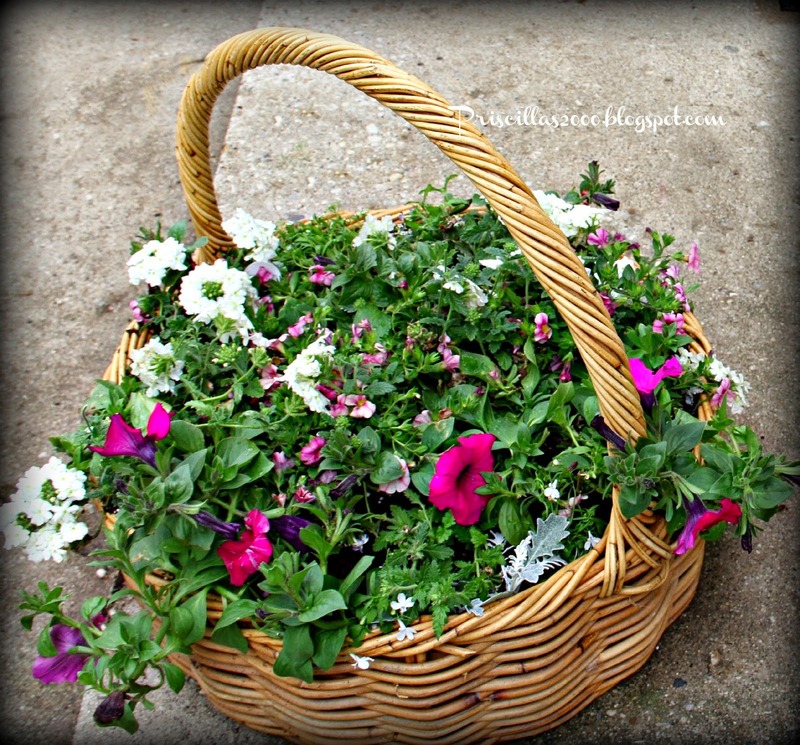 The photo below is the above basket when I planted it ! It is huge now ! It takes up 1/2 of a 6 seat patio table.. 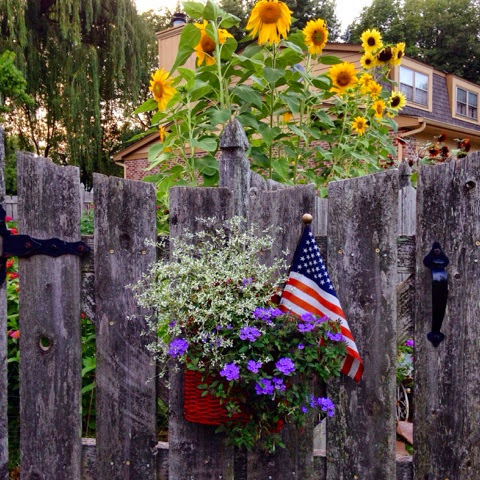 This basket hangs on the fence ..It is doing really well too ! 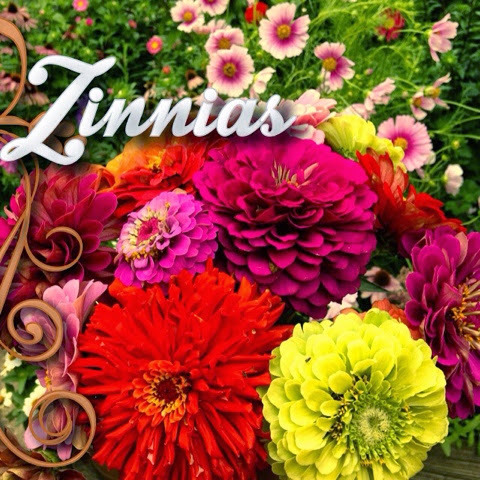 My zinnias are getting huge and I have alot of them ! So exciting to be able to go out and pick a new bouquet every couple days ! 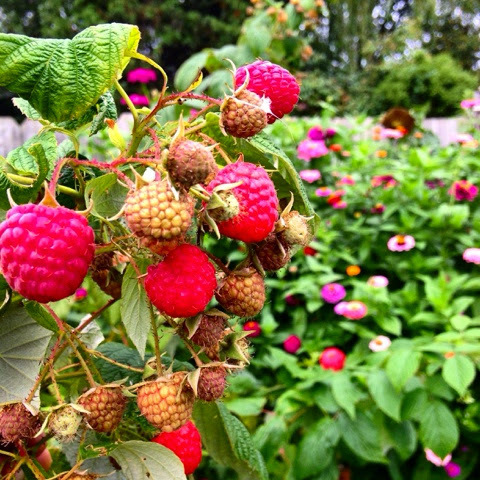 The fall raspberries have started to get ripe and they are huge too ! 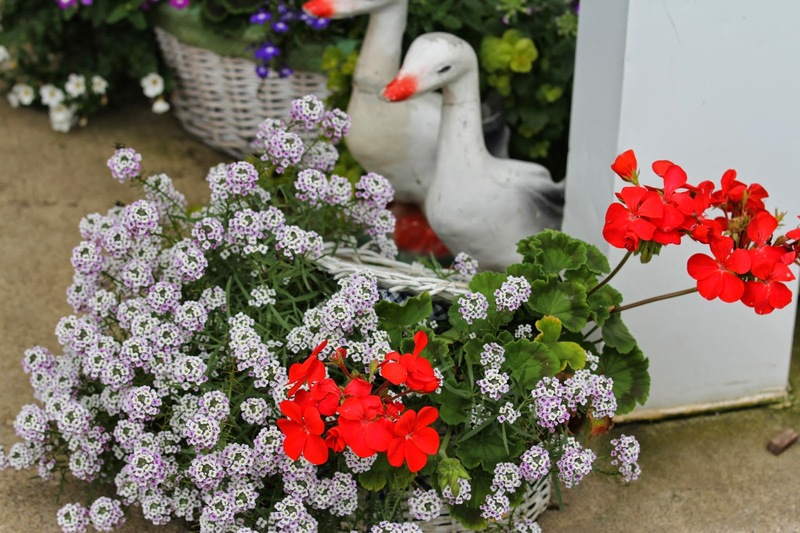 This is another one of the thrift store baskets , just planted simply with allysum and geraniums.. I am going to plant more of these baskets next year .. I love how they look ! 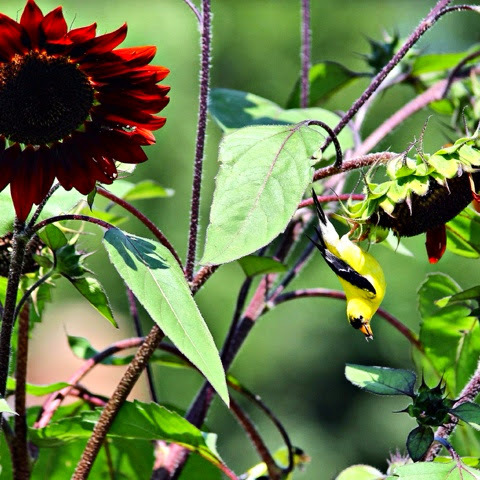 The yellow finches love my red sunflowers ! Wow you had success with your baskets - they all look beautiful! And I never knew there were red sunflowers - have to look into that! Your baskets look fantastic, think I may have a go at this next year, so much colour!! Love the little yellow finch, such a vibrant colour. Everything is huge and gorgeous Priscilla. Loved your baskets and now they are even more gorgeous! The red sunflower is so pretty. I need to look for seeds for next year. Beautiful flowers, what a clever way to use the baskets!!! 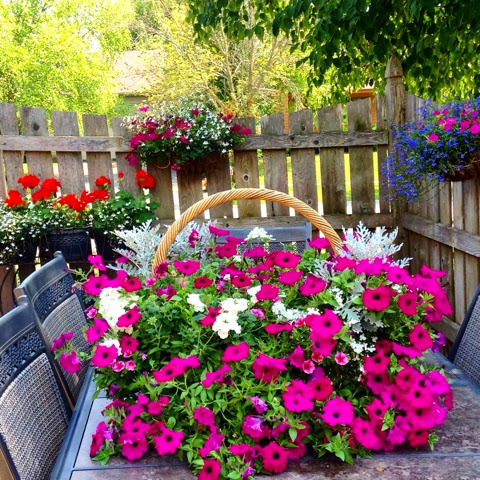 Beautiful flower baskets! I bought some red sunflower seeds on sale just recently. After seeing your red sunflowers, I am looking forward to planting them and seeing them bloom next year. What a wonderful idea to use the Thrift store baskets..Do you just sit the potted plants in the backet or plant the entire backet with seeds? Wouldn't you have to line the inside of the baskets with plastic to catch any rain or water? Do you spray any type of sealer on the basket if it is going to be outside? Baskets can be sprayed any color to blend in with one's porch or patio decor. I don't get to thrift stores often but I'm starting to make a list of things I want to look for. Can't believe how much they've grown since May, Priscilla--they all look great!! Wow! Your garden is stunning!